Parents are the first and foremost important factor in a child’s life therefore we understand the importance of school’s engaging their parents at every opportunity. We have a proven track record of doing so through our ‘Get Down and Cook!’ sessions. Invite your parents in to an informal and relaxed atmosphere where everybody is welcome and supported to learn the fundamentals and beyond of food and cooking. Parents are consulted on recipes and dishes they would like to learn and experience together. These courses have a high retention rate and increase parental engagement throughout all year groups. Our staff are experienced in running parent sessions and enjoy exchanging tips and knowledge with the parents who want to learn the basics to the more experienced cooks. 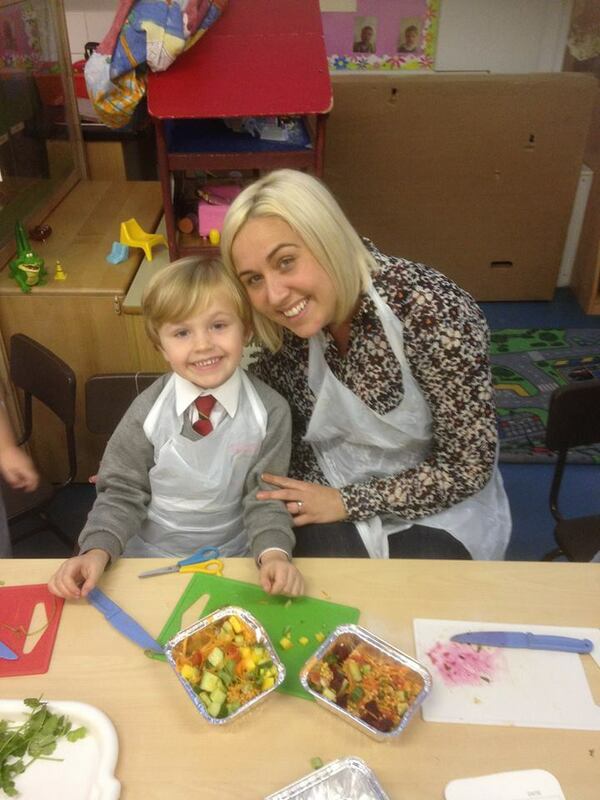 We have even had parent chefs with 20 years experience attending our sessions and loving every minute! These sessions can be designed around working alongside their own children or alone.